I'm new to composting and began with the intent to create and manage an indoor bin, as I live in a city apartment. However, shortly after starting my bin I needed to move it out to my fire escape due to smells and bugs. It seems to be going pretty well since I placed it outside a few months ago, but I'm worried about what will happen in the cold winter months. 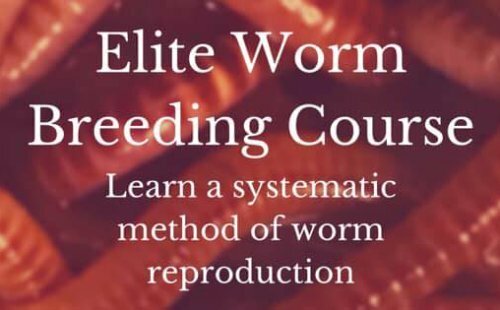 Can the worms survive freezing outdoor temperatures? Do they hibernate like goldfish in a frozen pond? Will the decomposition heat insulate the worms enough to keep them unfrozen and alive? If I need to bring the bin indoors, can I fight the bugs and smells by not adding any new food scraps and just leaving them in the castings and dry bedding? You're "right on the money" about not adding any new food scraps and just leaving them in the castings"
Leaving the worm bin outside on the stairwell in the winter can be done BUT I would really recommend that you bring it in. especially being new to worm composting. Leaving the bin outside will only impede the composting process and if you're wanting a lot of castings for plants or want your squirm (herd) to populate then bringing them all inside is best. Much insulation (whether synthetic or natural) will be required to keep your worms safe but this can be discussed later should you pursue it. But I'll explain it in short. Most worm bin organisms other than worms are after the nitrogen (kitchen scraps) that contain lots of proteins and starch. Nitrogen helps build body mass and insects grow very quickly unlike a worm. Adding too much nitrogen causes the bin to get too warm, too moist, smelly and even anaerobic. hold off on adding anymore nitrogen and keep adding plenty of moist carbon in the form of shredded papers, coco coir, etc. I would also encourage you to use Diatomaceous Earth on top of sheets of newspaper or newspaper equivalent that lie on top of the bedding in order to keep the DE dry to be able to kill and deter future unwanted pests in the bin. DE also adds grit and nutrition to the worms. You'll find all of that info at the link above. In the very near future your bin will be back to normal and not smell. You can then begin adding small amounts of kitchen scraps well buried under the bedding and newspaper to avoid pests. Keep to the 20:1 ratio carbon to Nitrogen or around there and your worms will enjoy the benefits of both building body mass and reproducing as well as the energy from the carbon. Remember to add the minerals which are just as important. I discuss 19 different minerals in The Worm Farming Revolution Book.